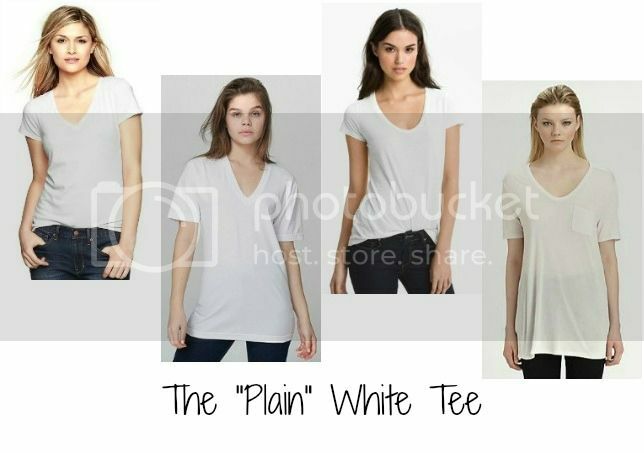 I'm keeping today's post simple just like the subject: the "plain" white tee. I say "plain" because to me a white tee is basically a canvas that can be dressed up fancy or fab on it's own, so it's really not plain by any means. There are a ton of options out there for white tees but below are some I've heard ah-mazing things about (especially that Alexander Wang tee - now if only I could bring myself to spend $80 on a t-shirt...). Tune in Friday to see how I style my white tee! Yay!! I can't wait to see your look! So glad you're joining us!! So glad I joined in!!! Can't wait for the next one!